One of my grandmothers was a lovely woman. She was a great cook, loved to sew, had a garden, canned enough vegetables for the winter and basically took care of everyone. She never had a job and fit the stereotype of a 1950s homemaker. But when it came to financial matters she totally deferred to my grandfather. She passed away before my grandfather but if she had not, it would have been very difficult for her to deal with her finances. You may have had or still have clients like this. My other grandmothers worked and were more involved in (and probably in control of) their household finances. (They also weren’t great cooks...similar to me!) 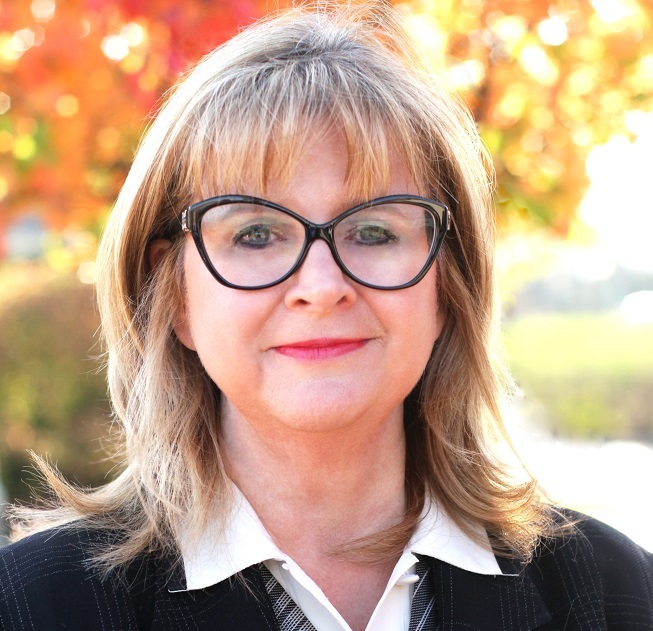 How families make financial decisions is critical for advisors to understand and is changing based on age and sometimes based on occupation. 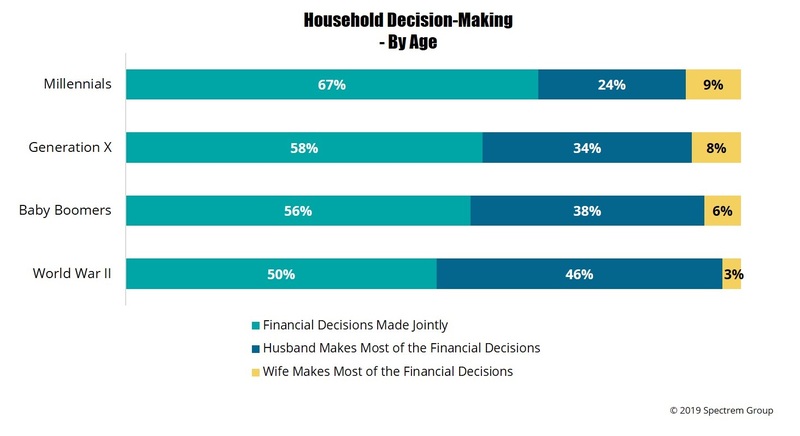 It’s also interesting to note the difference in household decision-making based upon occupation. 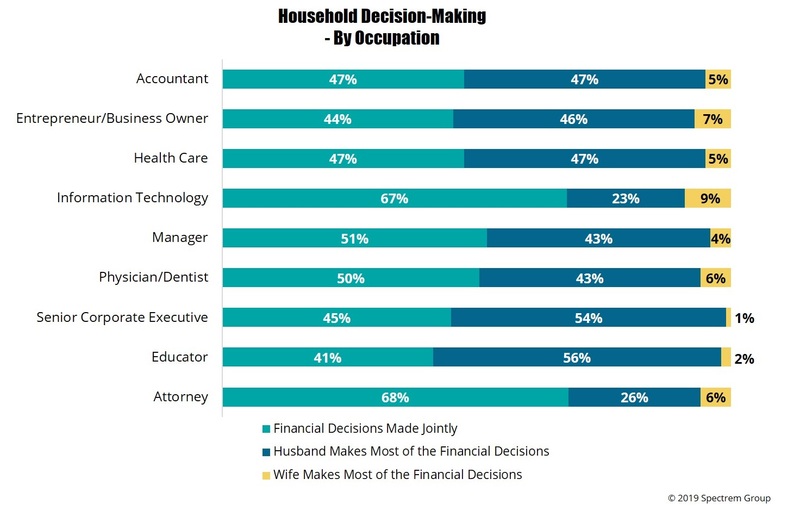 As you can see below, when viewed by occupation the break out between joint decision-making and the husband making the decision is much more equally distributed. There are two notable exceptions. Investors in Information Technology and Attorneys are much more likely to be joint decision-making families than other occupations.